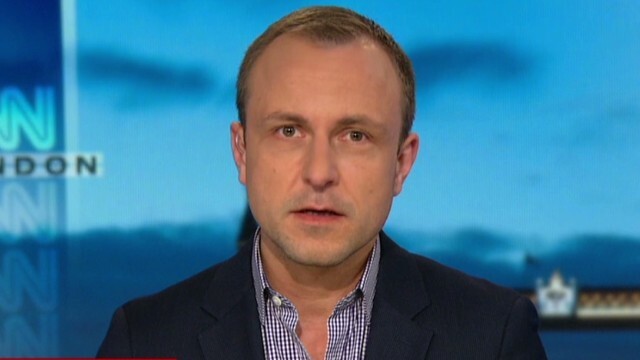 ​"They are masters of terror," radicalization and terror expert Peter Neumann told Christiane Amanpour in reaction to a new ISIS video that showed their second execution of an American reporter. It was a threat they had made following the murder of another American journalist, James Foley, and brutally delivered on. "Had they not made good on this particular threat, they would not have been taken seriously." Amanpour asked if they will follow through with their latest threat in the video to execute a British national. "Tragically, it probably is likely that they will execute a British person at some point in the future unless something dramatic happens." WHILE THE KENIAN OBAMA ¨THINKS¨ THE ISIS BEHEAD MORE, AND MORE AMERICANS AND OTHERS. WAY TO GO KENIAN OBAMA. And Obama got that for America trying to listen what Americans are saying – go to war with the ISIS. What President Obama has not done now is to do it all the way the John Mc Cain way: Put boots on the ground, Americans fighting the war themselves. No borders. No limits. They have their demands. Their demands cannot be met. Twenty or so more hostages should be assumed gone. IS war against America could be pushed from the battlefields of the mid-east to anywhere in America. But U.S. homeland is very far away for harassment attacks. I think any American within immediate grab of ISIS is in danger until this war is over. why send journalists to war zones who would lynch them ??? because these are the eyes of the west !!! sedition sparkers and opposition funders ...can you beleive that ?? I think President Obama is beyond this now. It might have been better if U.S. stayed clearly out of inter Arab conflicts. The worst for the U.S. whoever came out on top in that situation would be Iran, North Korea or Putin. At least they can be talked to. ISIS cannot be talked to. They have no Achilles heel. They have no problems associated to running a nation. Because running a nation requires balance. One could get overthrown by neighbors or one could face homegrown dissatisfaction.